Coming soon, the amazing story of Ember. 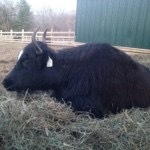 Welcome to Whiskey Hill Farm, home to the Whiskey Hill Yaks. Our farm is located in the Finger Lakes region of Central New York. 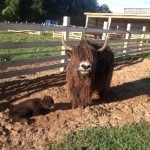 We have a herd of registered Tibetan Yaks and are offering a select few for sale. If you are considering a small herd of your own please consider our sale animals for your seed stock. We have some of the best bloodlines available in the herd book. Several of our animals are extreme woolies, so if you are interested in the fiber aspect of the industry you will be pleased with what we have to offer. 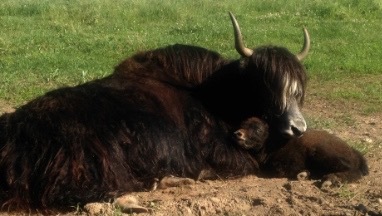 Our yaks are grass fed, antibiotic and hormone free. You will find that yak is an extremely healthy alternative (and delicious) choice of red meat. If you are interested in meat animals please let us know. 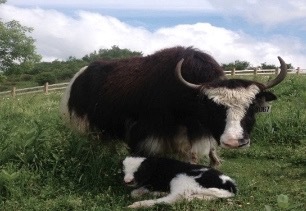 Visitors are welcome by appointment to visit our yaks and talk yak with us. You can contact us here. The Sale List is live! Please check out our offerings. Contact the International Yak Association for more yak knowledge if you are interested.